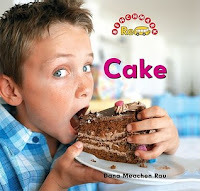 Of Books and Blooms: 20 Scrumptious Books about Cake! 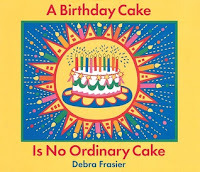 In celebration of my birthday coming up soon, this month's list is all about cake! There are some fun ones here--some new to us that we loved, like Betty Bunny Loves Chocolate Cake, and some old favorites, like The Seven Silly Eaters. Enjoy! 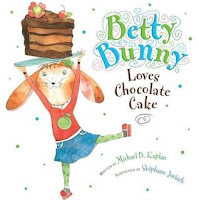 Betty Bunny loves chocolate cake so much, she wants to marry it, despite what her older siblings tell her. She does NOT want to eat a healthy dinner first. Tantrums ensue, followed by consequences. Patience is hard, but chocolate cake is yummy. Betty Bunny must be 3 years old. Even when she is naughty, she's also kind of adorable. The watercolor and pen-and-ink illustrations are expressive and full of life. Her single-minded devotion to chocolate cake makes for a funny, delightful story. We couldn't help giggling all the way through it! Making a birthday cake takes 1 whole year, so you’d better start early! You’ll need to collect each sunrise, hot winds, sounds, shadows, and shapes from each season. Exuberant, brightly-colored illustrations. My 4-year-old wanted to trace every spiral. Grandma’s birthday is coming, and Max and Ruby both make her a birthday cake. Max insists on helping, much to Ruby’s chagrin. Thanks to his “help” he keeps having to make trips to the grocery store for more ingredients. He tries and tries to add Red Hot Marshmallow Squirters to the list, for his earthworm cake, but the grocer can’t understand his writing. Finally Max figures out a way to get his Squirters and Ruby figures out a way to keep Max out of the kitchen until she’s done. The give and take between Max and Ruby is so classic. Filled with wry humor. My kids love this one! Rooster is tired of eating grain! Then he remembers his great-granny, the Little Red Hen. He is sure there must be an old cookbook of hers around somewhere. He finds it, and sets out to make strawberry shortcake. Dog, Cat, and Goose have not changed their ways at all since great-granny’s time, but turtle, iguana, and pot-bellied pig want to help. Turtle reads the recipe, Iguana is the gatherer, and Pig is the taster. 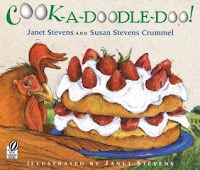 Another illustrated recipe, but the Little Red Hen connection adds some depth, and Iguana adds some Amelia Bedelia-esque humor to each step. Lively illustrations also add to the fun. 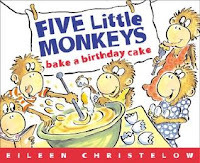 Each page has a sidebar with more information about everything from sifting flour to cracking eggs. Recipe is included at the end. Ella's a little elephant who badly want to help out in her mother's bakery, but she's already done her usual chores, and everything else is unsuitable for a little elephant (too hot! too sharp!). 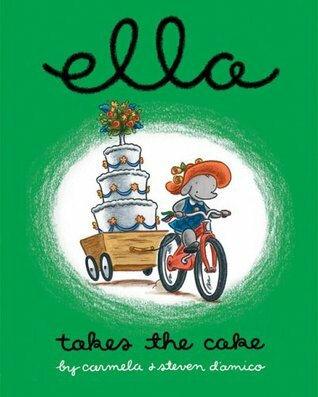 When the deliveryman forgets a cake that needs to be delivered, Ella figures out a new way to help, which her mother actually agrees to. Off she goes on her bike, cake in tow. 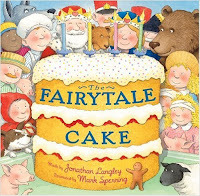 A host of fairytale characters make a cake and deliver it to a special birthday boy and girl. 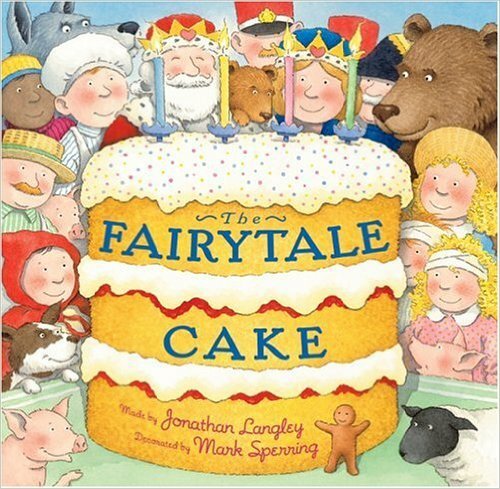 The story in this one is incidental to finding all the nursery rhyme and fairy tale characters in each picture. We had fun pointing them out, following them through the book, and of course, saying the rhymes. It’s Mama’s birthday and the 5 little monkeys have decided to make a cake for her, but they have to be quiet! She’s still sleeping! With so many helpers, the cake gets all kinds of extra cups and spoonfuls of things. Oh no! Is everything ruined? Like several others on the list, this one involves mishaps with baking powder, with the constant refrain of “Shh! Don’t wake up Mama!” All is right in the end, with an extra little funny twist when they finally do wake up Mama. Froggy is making mud pies when his father reminds him that it’s his mother’s birthday. They need to make a cake. Froggy insists on doing it all by himself—a whole box of baking powder ought to be enough. Uh-oh! 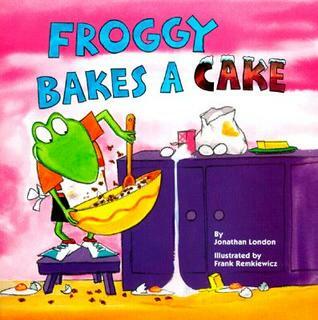 This is one of our favorite Froggy books. 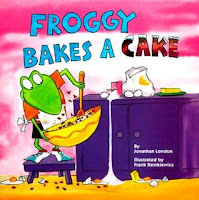 We like Froggy’s baking song, the chocolate-covered flies, and of course, the many sound effects as Froggy makes a huge mess of the kitchen. 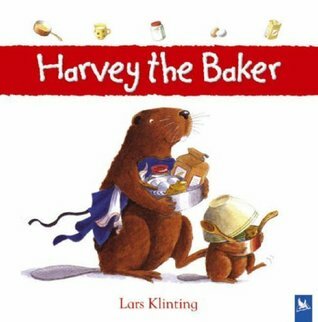 It’s Harvey the beaver’s birthday, and his little friend Chip comes over to help him bake a cake. Together they gather all the ingredients and get the cake made—just in time to share with friends. A simple story, more like an illustrated recipe. Includes the actual recipe at the end. Mouse has baked a delicious cake for Little Bird's birthday, but on the way to deliver it, he lets himself be talked out of it piece by piece, in exchange for other things of dubious usefulness. Then Little Bird shows him how to turn this back around again. 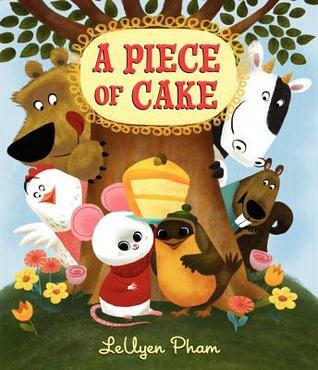 Little Bird is the true hero of this tale, which takes an unexpected turn for the delightful right about the middle. Rude cakes never say please or thank you, and they never share or say they’re sorry. 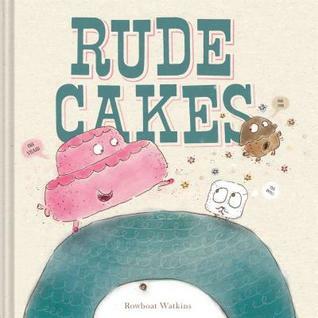 One little rude cake learns his lesson from some very polite giant cyclopses, who think he’s a hat. So silly it can’t help but be funny! Each of the Peters' children will only eat one special thing. Their mama does her best to meet all their requests, until finally a sweet compromise is made. This one is a lot of fun! 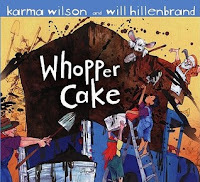 The illustrations are lively and authentic; a perfect match to the delightful story. I loved the interaction between Grandma and the girl in this one. 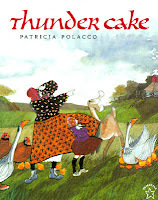 Grandma gently insists that the girl help with each task of gathering the ingredients, in the midst of the crashing thunder, while reminding her each time that Grandma's right here, nothing will hurt you. I love even more that it was based on a true story from Polacco's childhood. Includes the recipe with special ingredient. 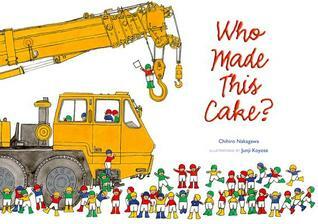 Mother puts in a call to the construction crew for one cake. “Make it a good one!” she says. They immediately get to work, using all kinds of trucks, tractors, and machines to get the job done. A very simple story, with 1 sentence per page. The fun is in the illustrations. Little ones who love tractors will love seeing how the crew gets each ingredient mixed into the cake. As Grandma heads off for some birthday shopping, Granddad starts in to mixing, soon leaving behind the kitchen utensils and regular-sized bowls, and moving right along to the truck bed with an oar for a mixing spoon. This quirky story has the feel of a folktale--or should I say, a tall tale? 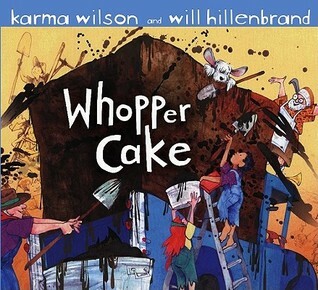 Everything grows to huge proportions, and with the help of friends and neighbors, the whopper cake is not only ready for Grandma, but eaten down to the last crumb. The exuberant, slapdash illustrations fit right in with the rhyming text. I'll have to admit, I cringed as the cake was mixed in the truck bed (just remembering what we've hauled in our truck...), but the kids had no such grown-up qualms. They enjoyed it! 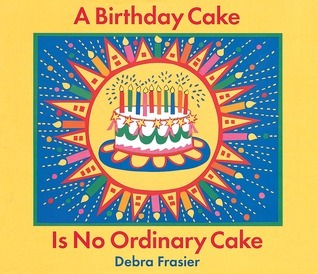 Each 2-page spread includes one page with one or two very simple sentences about cake, including one picture to stand in for a word. The opposite page is a photograph illustrating the sentence. Great for building confidence in beginning readers! Nancy's school is having a bake sale, and she is very happy to make extra-fancy cupcakes to sell. She just has to improve her listening skills a bit more! Okay, so this one was more about being a better listener than making cupcakes, but your resident Fancy Nancy fan probably won't care that there's a not-so-subtle message delivered along with the goods. Mr. Putter wants to do something nice for his neighbor, Mrs. Teaberry, for Christmas. He decides to bake a cake. He does not have all the right ingredients or pans. His first few attempts are rather disastrous, but he perseveres! 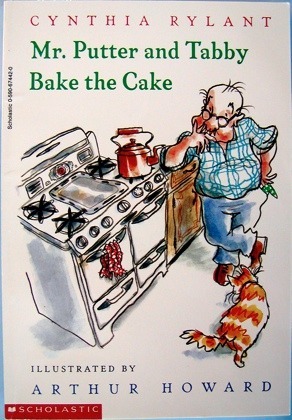 If you're unfamiliar with this series, each book about an elderly gentleman and his cat, is full of gentle humor. 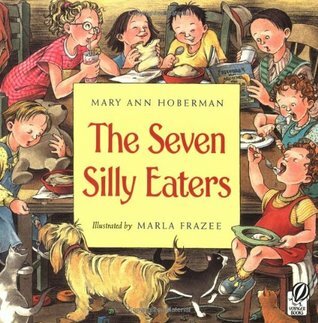 It's kind of surprising to me, really, how much my kiddos like this series with the unlikely protagonist, but they do. For the ambitious junior baker, these recipes include lots of WOW! factor recipes, like a checkerboard cake (when you cut into it!) with roses piped on the outside, and surprise present cookies. Almost every recipe includes multiple steps, including freezer time, and careful cutting. Most of the recipes call for a store-bought mix as the base, though there are a few unusual ingredients as well--banana extract, anyone? In other words, most of these would not work for the beginner, but if your child already knows their way around the kitchen and wants to challenge themselves, hand them this book! Or some of these could be fun to do together. This book assumes you have already baked the cakes you will need for each recipe--it includes the size and number of cakes you'll need in the ingredients list. 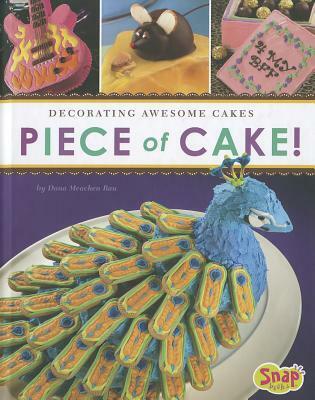 These are also impressive-looking cakes, including a "pool party" cake with blue gelatin in the middle, and a peacock cake with a frosted rice-crispy head. Most require candy as embellishments. 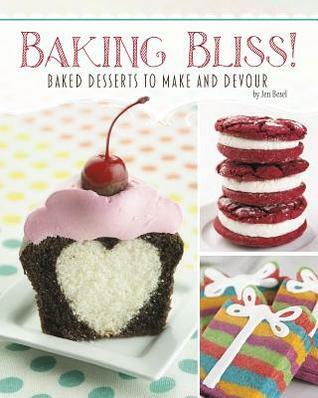 She includes recipes for 3 different types of frosting, including "Edge Icing" and "Flood Icing." 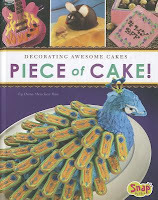 As with the first book, these cakes will take a pretty high level of patience and skill, so keep that in mind. You may need to help your kid keep a sense of humor about the whole thing, otherwise I could see it getting very frustrating if/when theirs doesn't turn out like the picture. 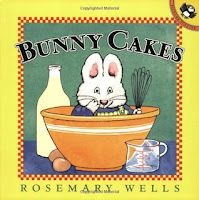 By the way, I just realized this is by the same author that wrote the Easy Reader cake book. Nice! So go forth and eat some cake this week! Or at least read about it. Are you a baker? Have you made any amazing cakes in your life time? My cakes usually look much better from a distance...preferably in low lighting. I am linking up with Literary Musings Mondays. Hop over there for some more great books! Thanks, Mary! I will share it. Glad you stopped by! These sound like delightful books, though I've not heard of them before! Visiting from #LMMLinkup! Some were new to us, too, but we enjoyed them.